Happy New Year! I cannot believe that it's 2016 already, and as it is now the New Year I would share with you my New Years resolutions. 1.) Live life with less worries and do what makes me happy. I have chosen to go with this resolution because I know that I worry too much about what people will think of me, how I act and dress and I know that this needs to come to an end, and do what makes me happy and what will make me a happier person and in general a better person. 2.) Get fit and be healthier. This one needs no explanation, I am always looking to improve my fitness and eat different healthier food and I always feel better when I do. 3.) Take more pictures and appreciate each moment more. I feel that I have this resolution every year, but I think that this is a really important resolution and that everyone should try it. 4.) Continue this blog for as long as possible and do not give no matter what people say about it. So what are your New Years resolutions? 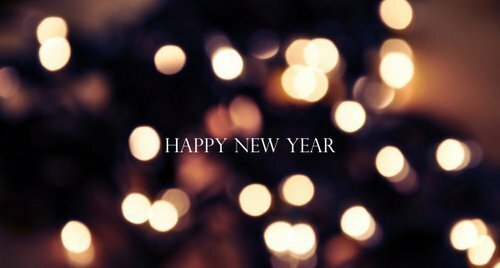 Tell me in the comments below, best wishes for the year ahead and I hope you all have an amazing 2016! Hey Everyone, my name is Charlotte and welcome to my small blog. I hope you enjoy reading my posts, and I would love to know what you think!